Creating a proper shoe storage system makes it simple to organize them and coordinate footwear with clothes. Here are some strategies to organize shoes with ease. Choosing and wearing the right kind of shoes is not just a fashion statement but is also essential to keep feet healthy and in good condition. Having a well-organized shoe storage system makes selecting the appropriate pair of shoes quick and easy and also puts a stop to shoes being strewn all over the place. 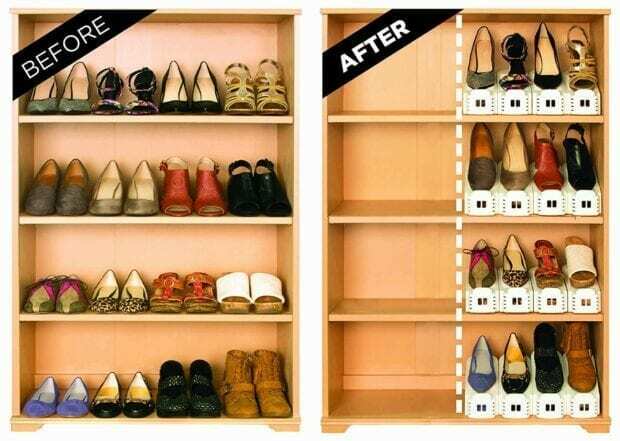 Get started on organizing shoes with these easy-to-follow steps. Begin by collecting shoes together in one place and then start sorting them. Discard anything that is extremely old, worn out, damaged or lacks a pair. Shoes that are in reasonable condition but donít fit any more or are not in keeping with the current trends should be given away to charity or someone who needs them. Next, categorize shoes according to the season, type or colors. Alternatively, organize them into simple categories of formal wear, sports, officewear, party wear and casual. This will be a good system for people with the same type of shoes but of different colors or quality. For instance, black designer pumps could be party wear, but regular black pumps could be office wear. Once shoes have been sorted into categories, a proper shoe storage system will be needed to keep the collection in one place. A dedicated closet will be perfect for those with large collections while a couple of racks or shelves can work for others. Store shoes that would not be worn during the season in shoe boxes and label them or stick a picture in front for quick identification. Store shoes in the shoe organizer based on the criteria decided earlier. 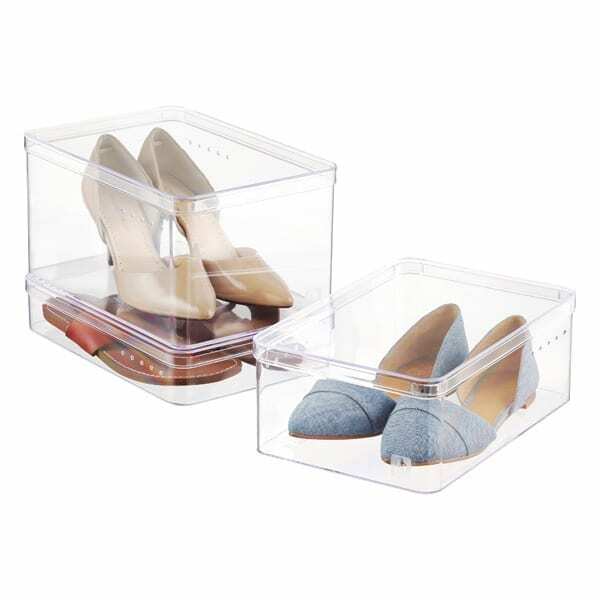 Another way would be to use different organizers for different types of shoes and store them according to the frequency of use. Do make it a point to stock shoe care supplies alongside to maintain them. Spend some time each week going through the shoe organizers and keeping them well-arranged. These simple steps would ensure that shoes are properly organized and that the house remains free of piles of footwear stashed away under the bed or jumbled up in the hallway. Getting dressed for a party or for work would be quicker and easier knowing that the right pair of shoes is available easily. Use these ideas as a guideline for creating your own personal shoe organization system.